Hi ! Thank you so much for this add-on ! I report a bug (with FF 5.0) The preferences window doesn't open entirely, the size doesn't fit the screen . Any workaround ? Thanks for your report, we will study it and fix that bug within couple of days. It is really hard to keep addon up to date, since Mozilla creates new version of Firefox faster than you can have your addon approved by their staff. 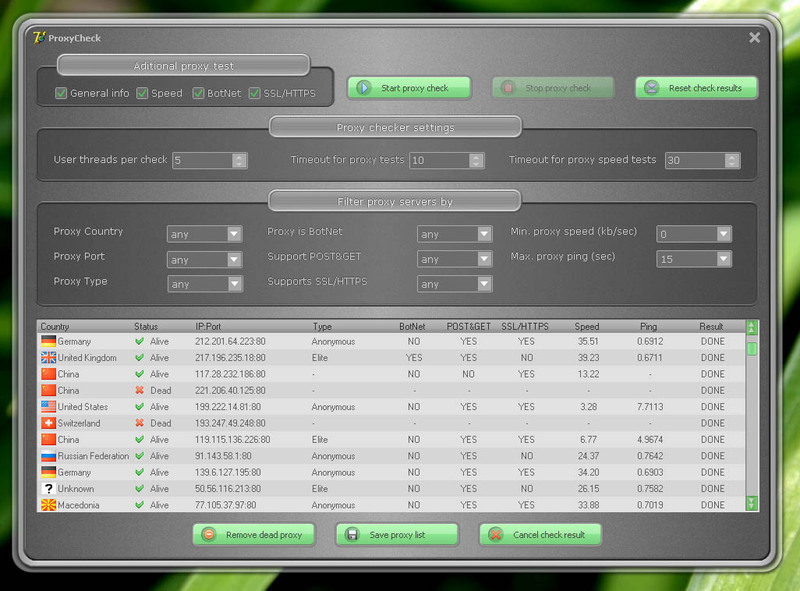 Currently we have finished our stand alone Premium Proxy Switcher Portable for all 5 browsers. In addition it includes local proxy checker with many useful features. Also we added proxy chain support for better security + for those users who are forced to use local proxy server (there are no standard way to use proxy for them). If you are interested please let us know and we will send you beta version of that program. Thank you so much for your quick answer ! I'm interested with the beta program ! Best luck for your team ! I am using the the Proxy Switcher for Firefox 1.014 and I found the bug in proxy list. It starts from Firefox 20 version.